Improvements to the SUNY New Paltz campus continue this year, with highlights including the opening of the new Science Hall, a groundbreaking at the future site of an Engineering Innovation Hub, the addition of a state-of-the-art solar panel array and battery storage system, and a number of significant renovations and maintenance projects in the College’s academic and residential buildings. The projects detailed here have created more than 300 construction jobs for the region. Learn more about SUNY New Paltz’s economic impact. This new campus landmark, a $48 million slate-covered structure, is the first thing many campus visitors see at the corner of Plattekill Avenue and N. Manheim Boulevard. It is open for business; a celebratory ribbon cutting will be held later this spring. Science Hall offers state-of-the-art facilities specially designed for the programmatic needs of students and faculty in the sciences and engineering. Offices for Geology, Geography, Physics and Astronomy, Computer Science, the Dean of Science & Engineering and the AC2 program moved into their new homes over Winter Break. Science Hall qualifies for Leadership in Energy and Environmental Design (LEED) Silver certification from the U.S. Green Building Council. 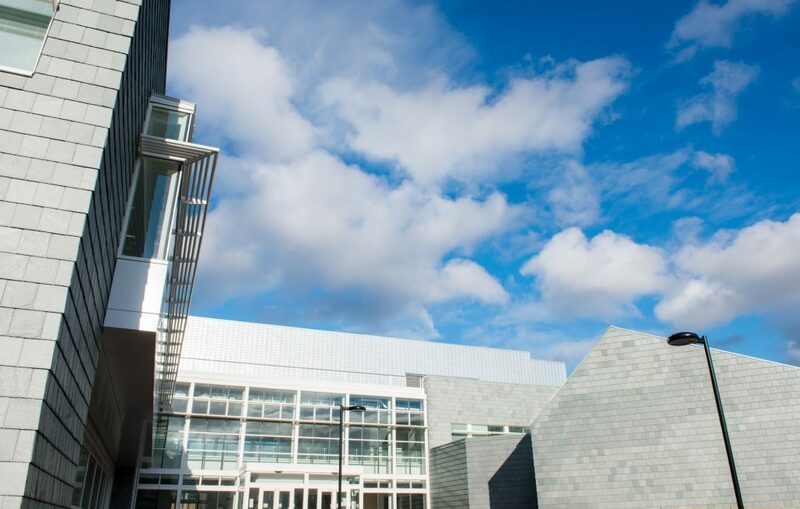 It was also SUNY New Paltz’s first-ever Project Labor Agreement (PLA) job, subject to a pre-hire collective bargaining process that ensured a safe and fair working relationship with contractors. State Assemblymember Kevin Cahill (’77) and State Senator John Bonacic secured the funding for the new building. In its design, Science Hall pays homage to the history of the Village. 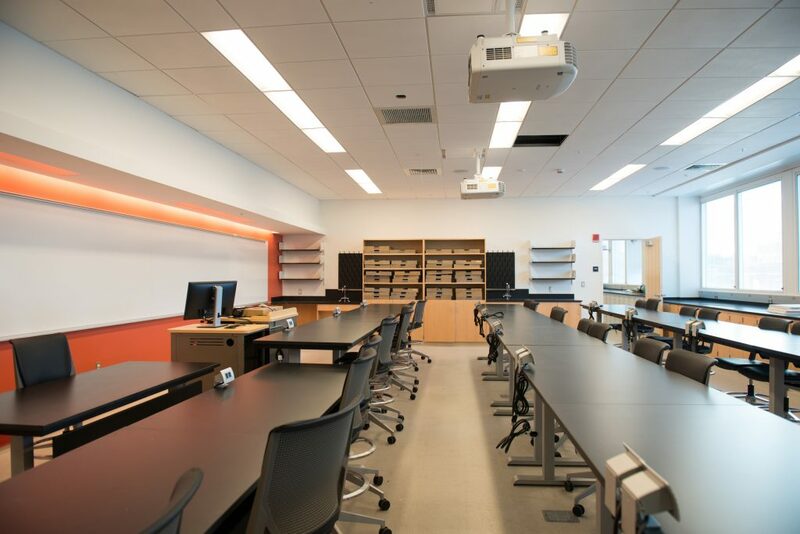 The Science Hall project was made possible thanks to the contributions of Zimmer Gunsul Frasca Architects, of Portland, Ore., and Niram Construction of Boonton, N.J. Solar panels are currently being installed on the roofs of Elting Gym and Sojourner Truth Library as part of a New York Power Authority-backed power storage system on campus. Installation of the system will begin inside Elting Gym during the spring, with completion expected by semester’s end. Elting Gymnasium locker rooms are slated for renovation beginning this semester. Overseers originally planned for temporary, stop-gap locker rooms to be constructed outside the Athletic & Wellness Center (AWC) in rented trailers. Instead, Facilities Management staff developed a new plan to construct permanent locker rooms in the lower level of the AWC, while keeping the overall project on budget. AWC locker rooms are now open to the campus community, and will remain open following the completion of the Elting locker room renovations later this year. 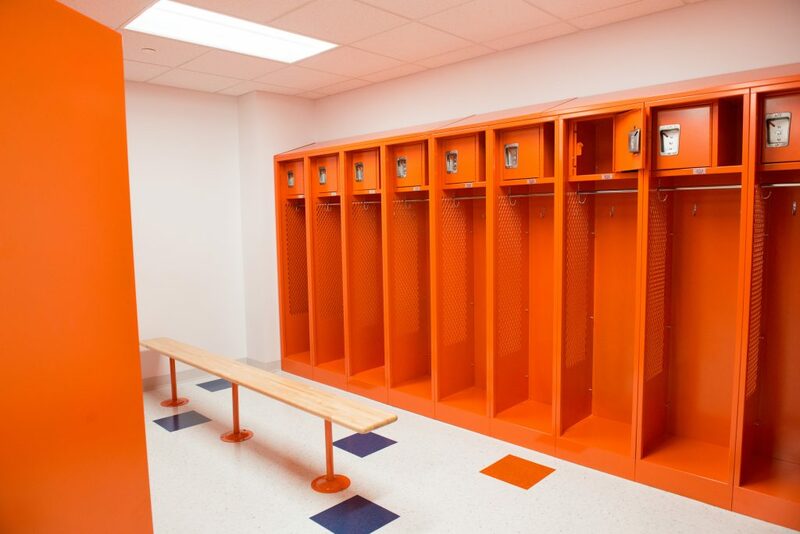 The locker room renovation project was made possible thanks to the contributions of Goshow Architects of New York, N.Y., and BCI Construction of Albany, N.Y. The project to build a state-of-the-art facility to meet the programmatic needs of the College’s mechanical engineering program, 3D printing labs and other initiatives is moving forward. The project is part of a $10 million state grant awarded by Governor Andrew Cuomo through the NYSUNY2020 competition. SUNY New Paltz has accepted a bid from consultant Urbahn Architects of New York City, and the preliminary design phase is underway. The building design will be a collaborative process and will incorporate ideas from a design committee made up of Science & Engineering students, faculty and staff. The end result will be a 20,000-square-foot building located in what’s now known as the Resnick Parking Lot. A groundbreaking ceremony will be held this summer, with project completion on track for mid-2019. In 2014, the College purchased a nearly four-acre lot across Rt. 32 on the east side of campus. A planned project to construct a new parking lot in that space, connected to the current Rt. 32 parking lot, will begin this spring. In addition to providing campus community members and guests with approximately 270 new parking spaces, this upgrade will also add crossing signals to the pedestrian crosswalks leading from the lot. 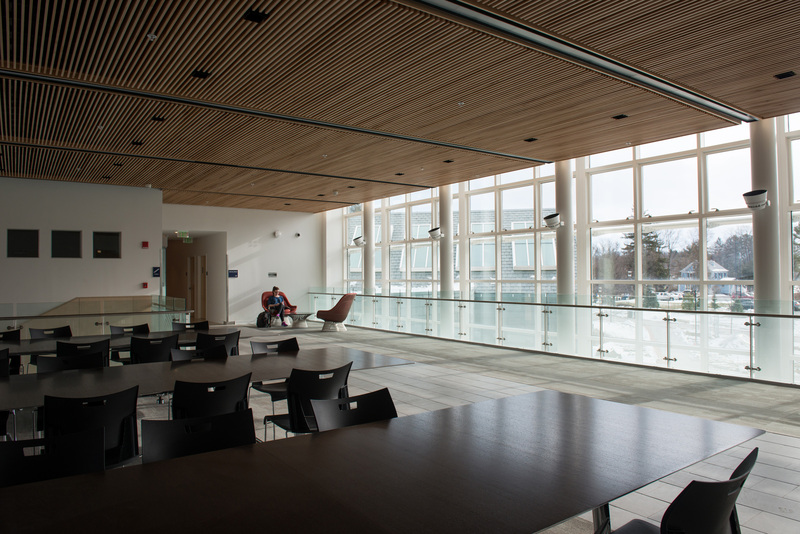 A project to renovate the Speech-Language Hearing Center (SLHC), which takes up much of the lower level of the Humanities Building, can proceed now that Science Hall construction is complete. Staff and offices destined for Science Hall had been temporarily moved to the South Classroom Building. Speech-Language and Hearing faculty will replace them there, as renovations to their current space get underway. This project expands the Center to better serve programmatic needs, and also to implement critical upgrades in compliance with the Americans with Disabilities Act (ADA). The third of a series of Hasbrouck Quad residence hall renovations, the project to upgrade Bevier Hall, began almost immediately after student residents departed in late December. Contractors set to work updating electrical systems and removing the building’s old roof, which will be replaced with a 50-year peaked roof. Full-scale renovations begin in February 2017. The building will reopen to student residents in fall 2017. 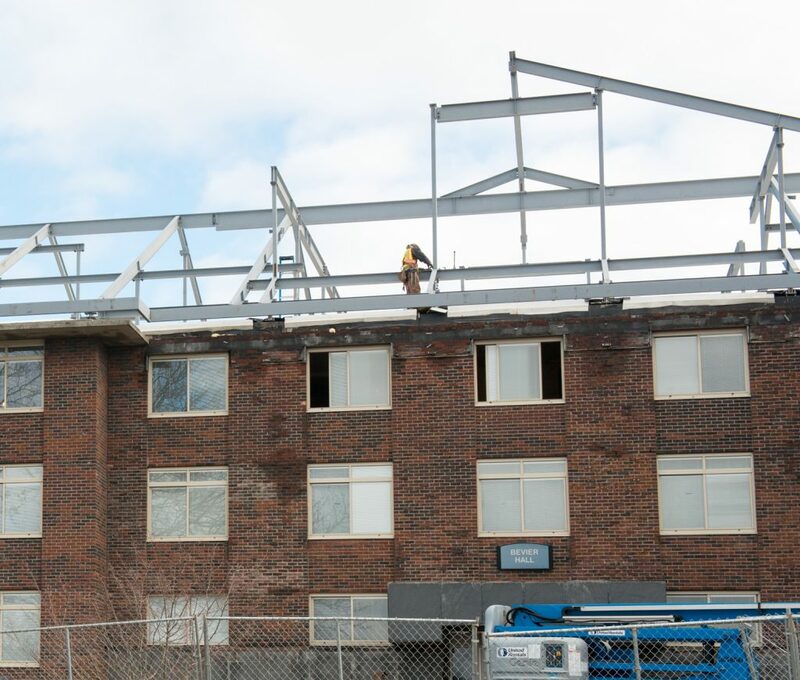 Like all residence hall construction projects, the financing for the Bevier Hall renovation comes from bonds purchased via the Dormitory Authority of the State of New York, using students’ room and board fees. The Facilities Management staff continued to replace and improve the underground electrical system across campus during Winter Break. This phase of the project involved scheduled power down periods at buildings across campus, at times when few students, faculty and staff are on campus. Work requiring these shutdowns is complete for now, and no outages are scheduled for the spring semester. 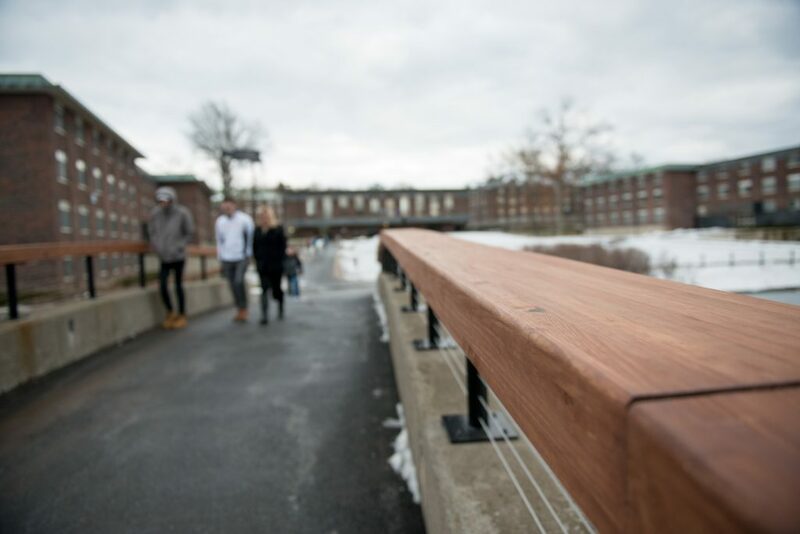 Previous railings on this bridge, a central artery of traffic leading to the Hasbrouck Dining Hall, were made of beautiful, natural hardwood and lasted nearly 60 years. Facilities Management opted for a similar design to replace them; the new railings are also made of natural, rather than man-made material. 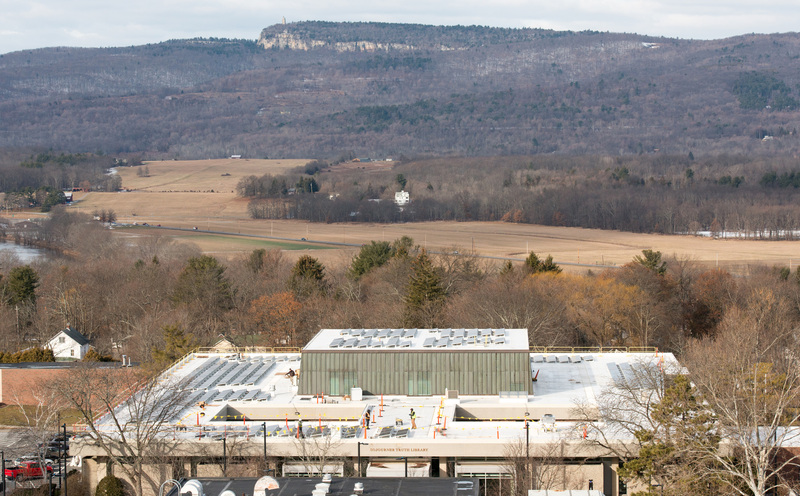 More information about construction at SUNY New Paltz is available online.